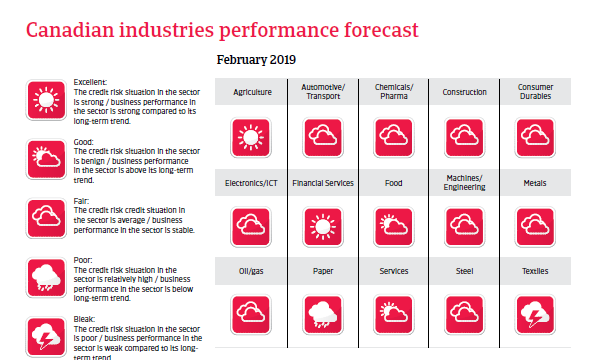 Despite a forecast growth slowdown in 2019 the economy should still experience positive momentum, with low unemployment and manageable inflation. 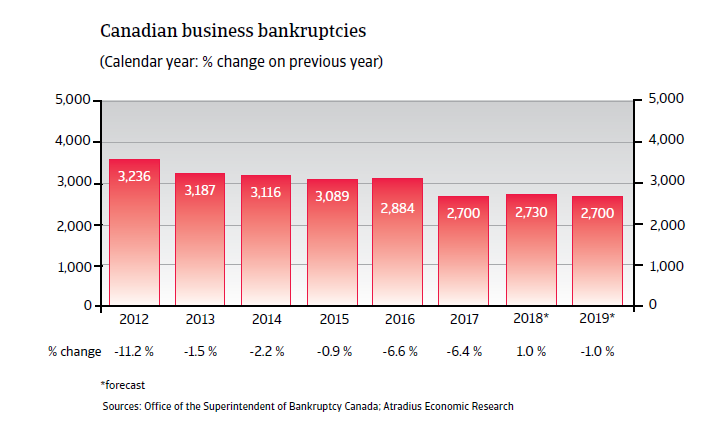 After decreases of more than 5% in 2016 and 2017, the number of corporate bankruptcies is expected to level-off in 2018 and 2019. This is mainly due to lower economic growth and higher interest rates. 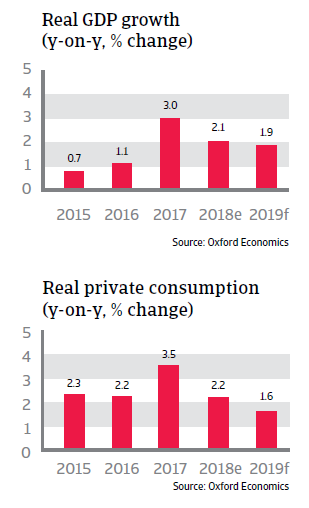 After expanding 3% in 2017, Canada´s GDP growth slowed down to about 2% in 2018 as private consumption growth decreased due to lower wage growth and rising interest rates. The Canadian economy continues to operate near its potential and the composition of growth is more balanced. 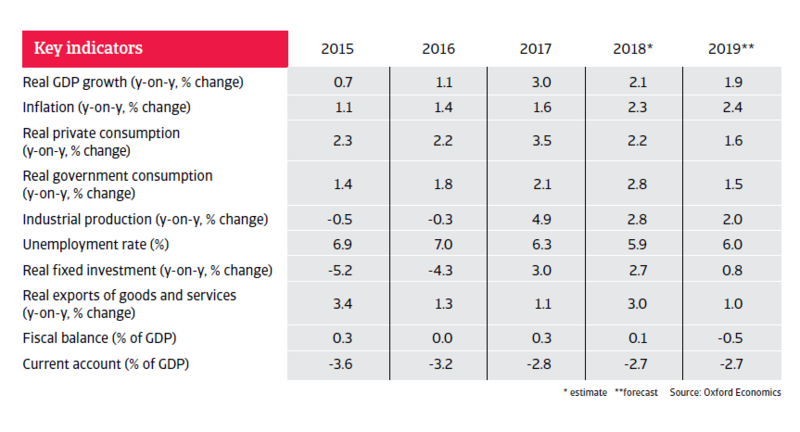 In 2019 GDP is forecast to grow below 2% as export, household consumption and investment growth further ease. However, the Canadian economy should still experience positive momentum, with low unemployment, manageable inflation and rising, but historically low interest rates. The new US-Mexico-Canada Agreement (USMCA) has reduced trade policy uncertainty in North America, which has been an important curb to business confidence and investment. Together with Mexico, Canada is shielded from any global tariffs on cars the US might impose on national security grounds by means of a tariff-free quota well above current export levels. However, despite the agreement, US import tariffs on Canadian steel and aluminium imports remain in place for the time being. Additionally current trade conflicts, particularly between the United States and China, continue to weigh on global growth and commodity prices.